San Francisco, CA, January 15, 2014 – VIZ Media, LLC (VIZ Media), the largest publisher, distributor and licensor of manga, graphic novels and anime in North America, has announced the release of a new BEN 10 OMNIVERSE original graphic novel, based on the popular Cartoon Network original series. Available now from the company’s Perfect Square imprint, BEN 10 OMNIVERSE: JOYRIDES is rated ‘A’ for All Ages and carries an MSRP of $7.99 U.S. / $9.99 CAN. A digital version is also available for $4.99 U.S. / CAN from the Perfect Square App, which offers titles for the Apple iPad® and iPad® Mini. The Perfect Square App is available from the iTunes store. Fans can also find a digital version for the NOOK, Kindle Fire, and Kobo ereaders, as well as in the iBooks and GooglePlay Stores. BEN 10 OMNIVERSE: JOYRIDES features a lead story by B. Clay Moore and artwork by Alan Brown, as well as a second story by Joel Enos with artwork by Albert Carreres. In B. Clay Moore’s “Tim 10,” Ben’s aliens seem to be causing all kinds of trouble in Undertown. But Ben doesn’t remember doing any of it... or changing into the aliens at all. Something’s not right, but what? Ben better find out before his reputation is ruined for good! And in Joel Enos’ “Down in the Dumps,” Ben finds out that being a superhero doesn’t always get you the respect you deserve when he tries to teach a class of plumber recruits at the academy... and ends up getting them all into a heap of trouble. The BEN 10 OMNIVERSE graphic novels are inspired by the hit animated Ben 10 Omniverse series that airs on Cartoon Network and is one of the network’s biggest global franchises. Ben Tennyson has been saving the universe with his partner, Rook, and his trusty Omnitrix, which allows him to use the DNA of aliens to take on heroic new forms. But he’s never encountered challenges quite like these! BEN 10 OMNIVERSE writer/editor Joel Enos has worked on a variety of VIZ Media manga titles including NARUTO, YU-GI-OH!, and POKÉMON, as well as editing original comic series, MONSUNO and MAX STEEL, for the Perfect Square imprint. Joel also wrote the graphic novel BEN 10 OMNIVERSE: PARALLEL PARADOX (Perfect Square), which will be released in April. Writer B. Clay Moore has authored comic books for virtually every major publisher, including VIZ Media, Image Comics, Marvel Comics, DC Comics, WildStorm, Oni Press and Top Cow Productions. He is also the co-creator of a handful of critically acclaimed creator-owned titles. BEN 10 OMNIVERSE artist Alan Brown has a love of comic art and cartoons that led him to a career as a storyboard and concept artist for a busy London agency, working for clients such as Lego and Ford. As a freelance artist and designer he has also created a variety of licensed artwork for Disney, Warner Bros. and the BBC, while continuing to provide comic art for a variety of small press and independent comics publishers. Artist Albert Carreres has worked on several comic and manga titles, including the Cars movie prequel comic book and an Iron Man edition for Marvel. He was also the artist for Voltron Force: Dragon Dawn (Perfect Square) and created the cover art for MAX STEEL: HERO OVERLOAD for VIZ Media’s Perfect Square imprint. VIZ Media’s Perfect Square imprint focuses on delivering original comics, manga (graphic novels) and other children’s books with an emphasis on strong storytelling, eye-popping graphics, empowering themes, and a dash of irreverence that captures the imagination of a whole new generation. Additional information on titles published by Perfect Square is available at www.PerfectSquare.com. For more information on other manga titles from VIZ Media, please visit www.VIZ.com. Headquartered in San Francisco, California, VIZ Media distributes, markets and licenses the best anime and manga titles direct from Japan. Owned by three of Japan's largest manga and animation companies, Shueisha Inc., Shogakukan Inc., and Shogakukan-Shueisha Productions, Co., Ltd., VIZ Media has the most extensive library of anime and manga for English speaking audiences in North America, the United Kingdom, Ireland, Australia, New Zealand and South Africa. 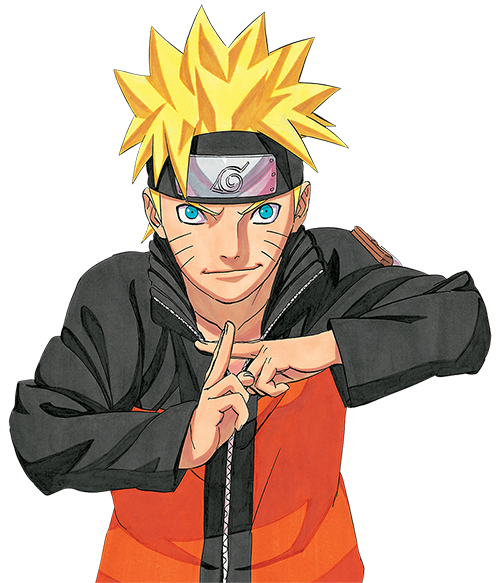 With its popular digital manga anthology WEEKLY SHONEN JUMP and blockbuster properties like NARUTO, BLEACH and INUYASHA, VIZ Media offers cutting-edge action, romance and family friendly properties for anime, manga, science fiction and fantasy fans of all ages. VIZ Media properties are available as graphic novels, DVDs, animated television series, feature films, downloadable and streaming video and a variety of consumer products. Learn more about VIZ Media, anime and manga at www.VIZ.com.